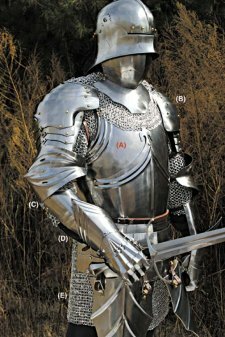 This consists of the breast and back plates with their fauld and tassets (upper thigh protection). Handcrafted of 18 gauge steel. Approx. weight - 17 lbs. Fits up to 46" chest. Waist 38". All other pieces sold separately. See below.